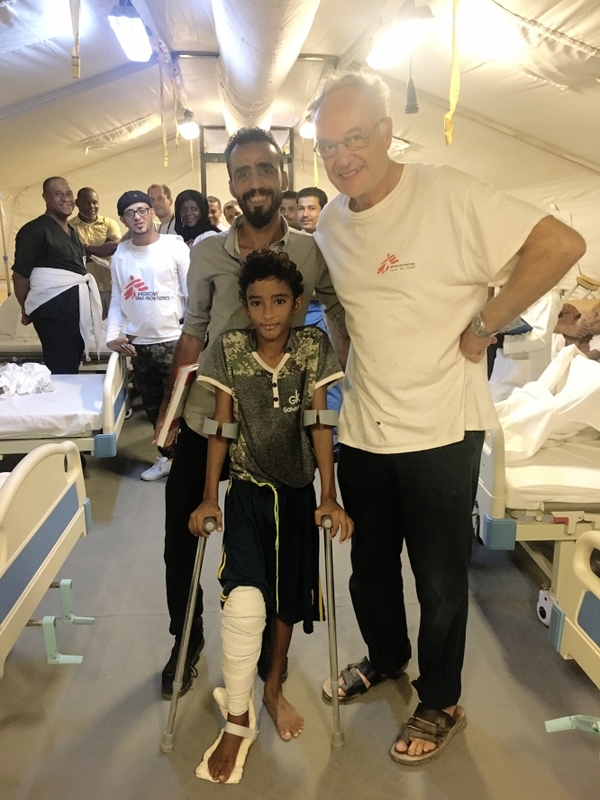 Dr Bernard Leménager recently returned from seven weeks in Yemen, where he worked – again – with Médecins Sans Frontières. For the past nine years, retired surgeon Dr Bernard Leménager has willingly flown to war-torn regions around the world to offer his medical expertise as a doctor with arguably the best-known French charitable organisation, Médecins sans Frontières (MSF). “I am 69 now. I used to work in a public hospital in France,” he said. “I decided to retire when I was 61 so I could work for Médecins sans Frontières. Dr Leménager has recently returned from seven weeks operating and saving lives in Yemen, where civil war has raged since 2014 when Houthi rebels, a group of Shi’ite Muslims from the north, overran the capital and forced President Hadi to flee. The President had been supported by Saudi Arabia, which set up a coalition and began air strikes. The conflict, which has become known as the Forgotten War as it has had little media coverage in the west, has left the country’s infrastructure in tatters. MSF calculates that half its medical structures have been destroyed. In 2017, the United Nations estimated that – out of a population of around 27million – more than 20million were in need of humanitarian aid. In October 2018, the UN said the country was about to face one of the biggest famines for 100 years, with 13million on the verge of starvation.